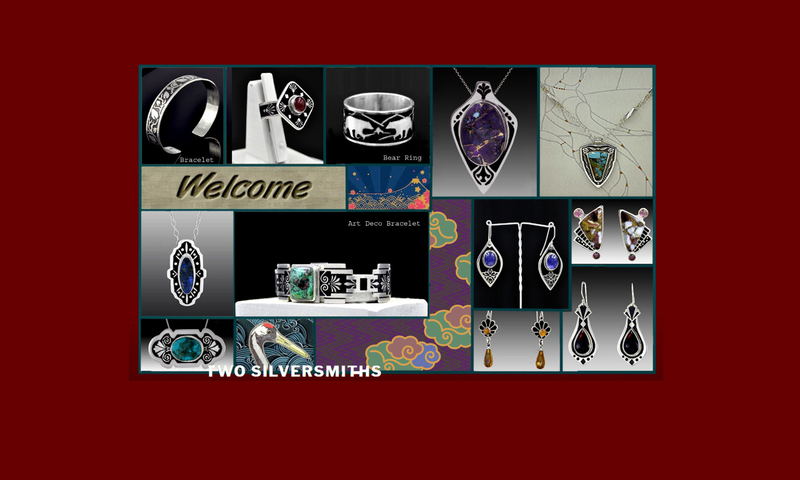 We are a working gallery, designing new jewelry each day. If you have a special piece in mind or you like one of our rings but need a different size and/or a different stone, or maybe you see a pendant but would prefer a different stone, then we can probably help you realize that in Argentium Sterling Silver. This is how it works: If you live near Hendersonville, NC, just click on “Contact Us” in the Home Page menu to email (or call) us to arrange a convenient time for a visit to our studio just outside Hendersonville. If this doesn’t work for you or you’re too far from us, then we can discuss what you need by phone or by using emails and photo attachments to settle on a design that you like. When we have a clear idea of how the piece should look, we’ll send you a full-sized drawing of the proposed piece and a color photo of any stone(s) you’ve chosen. If you approve the design, we will begin the fabrication process, then ship it to you. In our experience, this is a pleasant and convenient way to create a new custom piece. Browse the many items in our gallery, then let us know if you want to get started on a special piece of jewelry designed just for you!